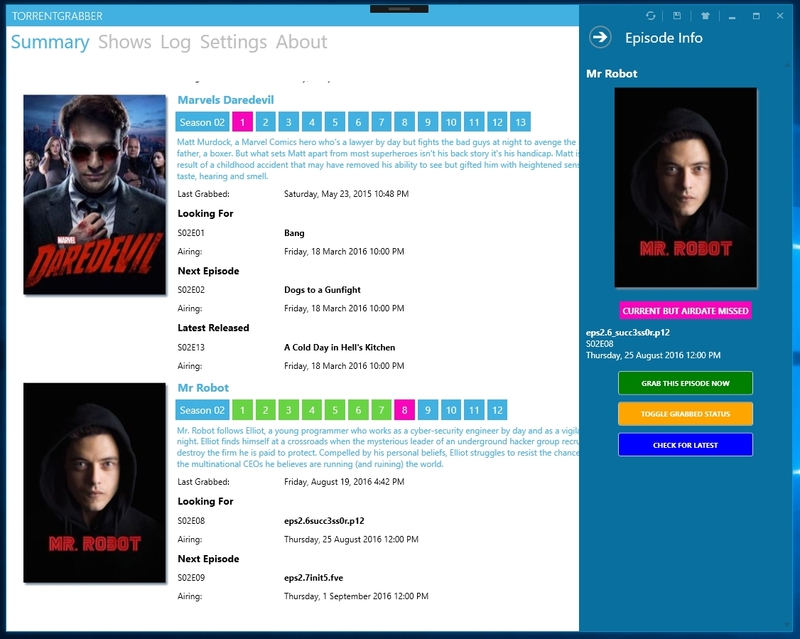 TorrenGrabber v3 now automatically downloads your show information & covers and makes sure you are up to date by giving you a visual breakdown of where you are up to in the season and also provides all the air times of your favourite shows. Run at your machine’s startup and TorrentGrabber will run in your system tray checking for shows automatically without any intervention – great for MediaCenters like Kodi, XBMC, Emby and Windows Media Center! Let us know what features you like, what you would like to see, and what features you hate. Would love to get some feedback in the comments. I can’t get show information to populate in the program. Could it be a regional issue? I’m in the U.S. Cannot install the version 3 on Windows 10. While extracting files from the installation program, all files produce the message, “Could not extract file”, even if I run it as Administrator. I have a license for the previous version. After the installation attempt all of the shows that I had set up are gone when running the previous version. I too, am having difficulty installing v3.1. Seems as though the downloaded setup file may be corrupt, but after numerous download attempts and install attempts, same results. No installation, Setup just hangs in Task Manager. I added the license code and now torrentgrabber crashes. I’m having issues with Hawaii Five-0 not showing in the list properly and therefore, not being grabbed properly. Awesome app! What language is it written in?